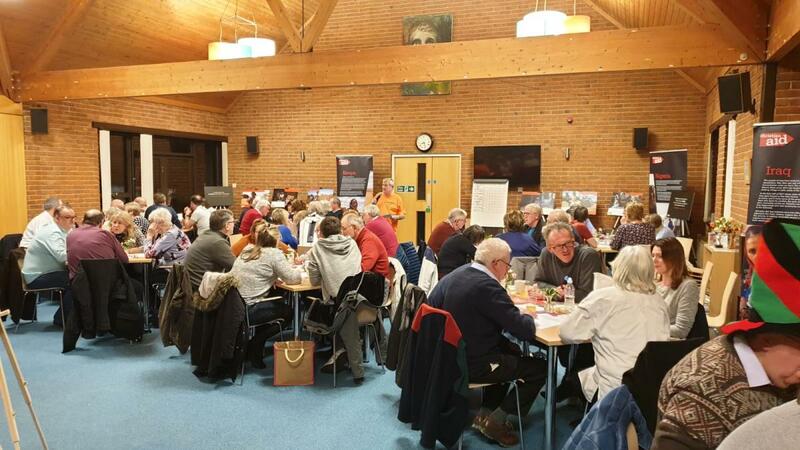 A Very Successful Quiz Night Was Held at the Dovetail Centre in Chandlers Ford on Saturday 23rd February 2019 in aid of "End Polio Now"'. Ten teams took part in a fun supper night with many thanks to Quizmaster Les Heyhoe from the Sailors Society who made the evening a great success.. The winning Rotary team, Southampton Magna were presented with the Brian Hunt Quiz cup by Rachel Hunt. Rachel told the gathering that she was overwhelmed that Rotarian Brian was remembered with such fondest by Rotarian friends. Many thanks to Dave's Fish Bar for supplying the suppers and ASDA Chandlers Ford for their support of the event.